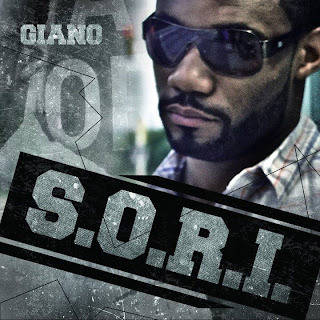 FREE Download: Giano - S.O.R.I. Phonte formerly of Little Brother uttered this famous line, "dope beats, dope rhymes, what more do y'all want." Giano provides dope lyricism over stellar production on his latest auditory treat known as S.O.R.I..
Giano, a Hampton Virginia based CHH lyricist, recruits an impressive production lineup for S.O.R.I. that includes S1, Illmind, Sinuous, Apollo Brown, PNG Productionz, and The Hunchback Esquire. Azarel Star, of Revolutionary Ink, is the lone feature on this project (I see you shining Ebony haha). You can stream the album below and download the project HERE.